Over the years, making business more human has been at the heart of everything we do here at Wistia. From the very start, we’ve tried to get this message across by making our own videos in our office, often on a shoestring budget. Compared to our latest video endeavor this feels somewhat amateur, but what that video showed in 2011, “One, Ten, One Hundred” shows in 2019 — we’re passionate about what we do and we believe using video is the best way to communicate that message. If you’re even remotely familiar with Wistia, it should come as no surprise that we’re deeply invested in building our own brand with video. Being dedicated to creating a cohesive, authentic presence online has paid off for us in so many ways over the years. And that’s why we’re so passionate about encouraging other businesses to do the same. 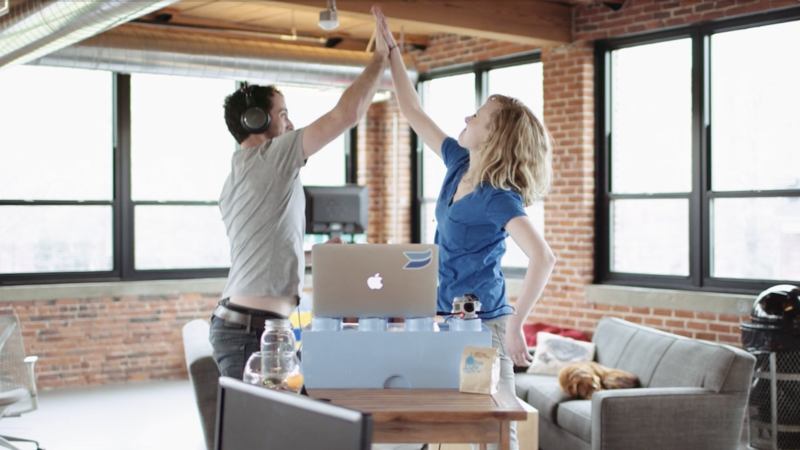 Alright, let’s call a spade a spade — Wistia is in the video software business. So, naturally, our brand revolves around video. You got us there. But a wise man once said, “Video is not a product; it’s a way of life. *” We don’t just make instructional, educational, or promotional videos. In fact, we make videos for many occasions. And that’s one of the reasons we’ve been able to carve out a niche for our brand. *No one has really ever said this to our knowledge, but you get the picture. Take blog post videos, for example. Sometimes our blog videos are jam-packed with helpful information, and other times, they’re simply there to delight. The video at the beginning of this post about looking good on camera doesn’t aim to provide any real value from an educational perspective. Instead, it sets the scene for the post to come and underscores the idea that being on camera can be scary and challenging — even for a video software company. Now, you might be thinking, “Who has time to make a video like this just to add some extra flair to a blog post?” Great question! We’re suggesting that businesses start making time for this type of content. You’re not doing it for us, you’re doing it for your brand. Differentiation: There’s tons of competition for consumer attention on the internet, which means it’s becoming increasingly difficult for businesses to break through the noise and connect. Thanks to the rise of social media, consumer behavior has changed — video isn’t just a medium for major brands anymore, small brands need to step up in order to compete. 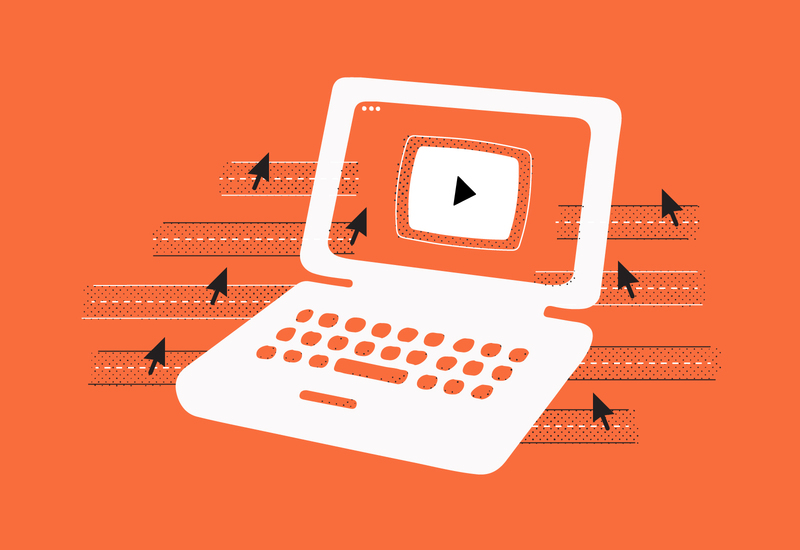 Retention: Over time, video can help you build stronger relationships with customers. This ultimately leads to more trust and more brand loyalty. Growth: When you’ve established a solid brand, you can take more creative risks with video that can turn into big returns at critical moments for your business. Video has become the primary method for communicating brand messages online — just think about the last time you scrolled through Instagram and paused on an ad. Chances are, a video caught your attention. And since video is now the norm, businesses can no longer hang their hats on one slick video that aims to achieve each and every one of their marketing goals. Now, let’s walk through these three key stages to brand development and learn a bit more about how your business can start building a stronger brand with video. When you want to make an impression on new customers, video can really help you stand out in a memorable way. Our homepage video, for example, is one of the most-talked-about videos we’ve created to date. The number of tweets, emails, and DMs we’ve received about this video is more than any of us could’ve ever imagined. Apparently, there’s just something about the combination of friendly smiles, killer dances moves, and a monochrome color palette that really gets people amped up. In all seriousness, the tricky part about building a unique brand is….well, actually being unique. It’s a lot harder than it sounds! Often when companies are just starting out, they tend to adopt the norms of other businesses in their industry, whether that’s talking about their products in a certain way or miming a design aesthetic that’s not completely their own. And at the end of the day, it makes sense — marketers want to use messaging styles that are proven to work. But, playing it safe is not what will get you noticed. When you produce a video, there’s a vulnerability and authenticity that is palpable. Even if you outsource the production of a video, there’s really nowhere to hide. From the script itself and the location of the shoot to the overall execution and messaging, a polished marketing video can serve as an honest representation of your brand. Not only does Patrick’s expertise come across better in the video than it would in text, but the video is also able to showcase real-world applications for concepts that, at times, can seem abstract. Now, it might sound hard to believe, but the truth is — your business is unique. The stories you have to share are yours alone. And when you use video to tell those stories, your brand story becomes more unique in turn. 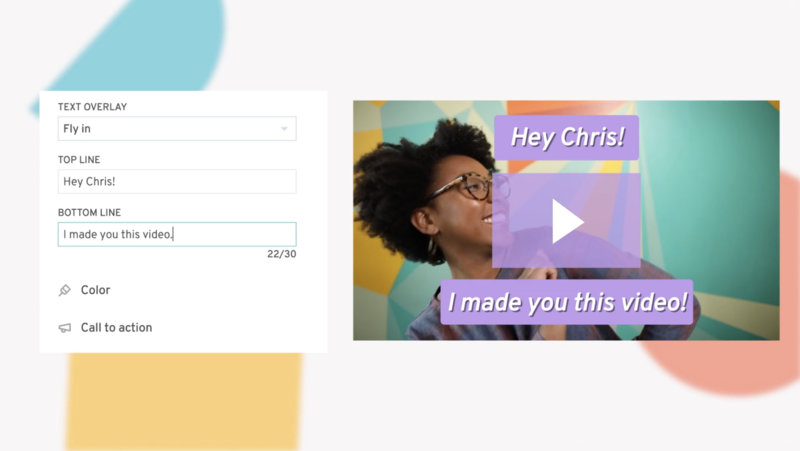 As we mentioned before, we make a lot of videos here at Wistia, from user onboarding to customer support. Many businesses, however, tend to associate “video” solely with marketing — and we’d like to challenge that assumption. Building a brand, after all, is about a lot more than one marketing video. Putting yourself on camera makes it possible to engage personally at scale, and beyond that, injecting key touch points throughout the customer’s journey is critical to leaving a lasting impression (and ultimately creating brand advocates). Just think about your favorite local barista who always knows your order and remembers your name — how many cups of coffee did it take for you to get on that level? The fact of the matter is, it takes time to build personal relationships with customers, whether you’re a coffee shop or a tech company. For this video (which is part of a series of onboarding videos), we decided to create a brand within our brand. 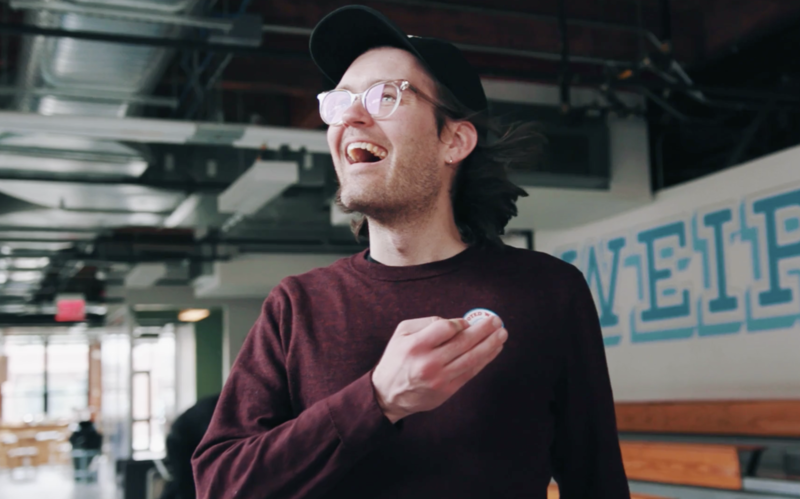 Creating this mini-brand gave us the creative freedom to educate our customers about our software in a way that felt fresh and unique, without sacrificing Wistia’s overall aesthetic. This onboarding series checked off several boxes for the business and brand we’re building — the videos themselves are educational, helping our customers understand how to get the most out of our product, and the sub-brand we created paints a picture of how a mom and pop shop like Jeff’s Lemonade can use video to help their business grow. Investing time and resources into creating content that actually helps educate your customers — not just market to them — proves you’re invested in their success. One of the most compelling reasons to make video part of your marketing strategy is, simply put, video contributes to growth. Using video to build your brand means you can grow your own way — making your company an industry leader in the process. For us, creating the series was a realization of a long-term goal of ours: to produce our own, long-form original content. And doing so allowed to think beyond video software — our series shows that just because we’re “video people” so to speak, we’re not special. We’re learning how to make better videos every day, just like you. Producing a video series is just one way to stretch your creative limits and expand your brand. 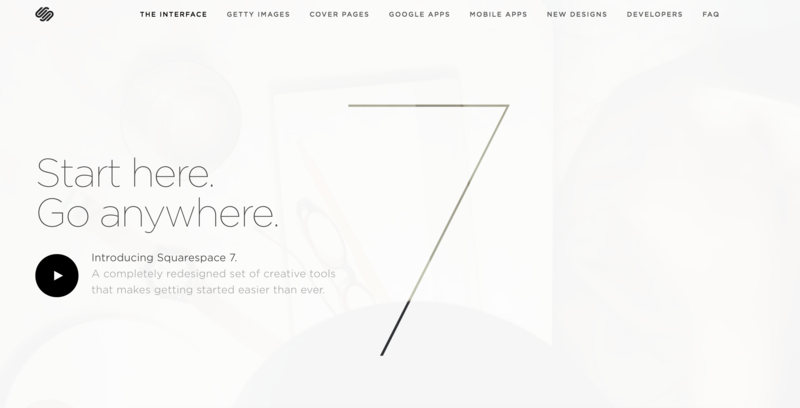 Just look at Squarespace’s landing page for Version 7 of their product. Instead of the classic tagline and illustration approach to a product page that’s so typical amongst software tools, the company took a unique approach by filling the entire screen with a short film. Head over to Squarespace’s site to watch the video. Squarespace has used video to grow their brand right from the start, making this bold choice less of a risk for them. The use of video (and minimal text) to announce a product update is a choice many lesser-known brands would never take. It reveals Squarespace’s ambitions for its brand — to not just be a website builder, but an engine for self-expression. Plus, it opens up the potential for Squarespace to go in many different directions with their brand in the future. Taking a big swing on a creative bet is what sets businesses apart. Tiny tweaks and optimizations tend to get you nowhere, fast. 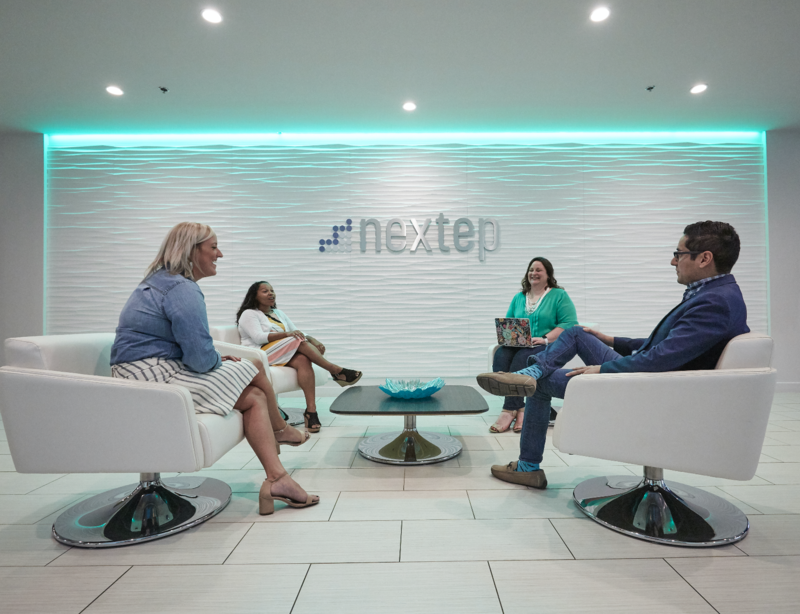 With video, businesses are able to iterate, experiment, and explore with style choice and execution, giving you plenty of opportunities to learn and grow. Building a brand with video lets you elevate your business to levels you may have never even dreamed of before. Using video to promote your products, educate your customers, or even close a deal isn’t all that novel of a concept. What you choose to do with video, however, is another story. Create disparate videos that live on all ends of the internet, and hope to tell a story that way, or, think about how video can actually be used to build your brand from the ground up. But hey, you don’t have to listen to us. We’re just a video company. 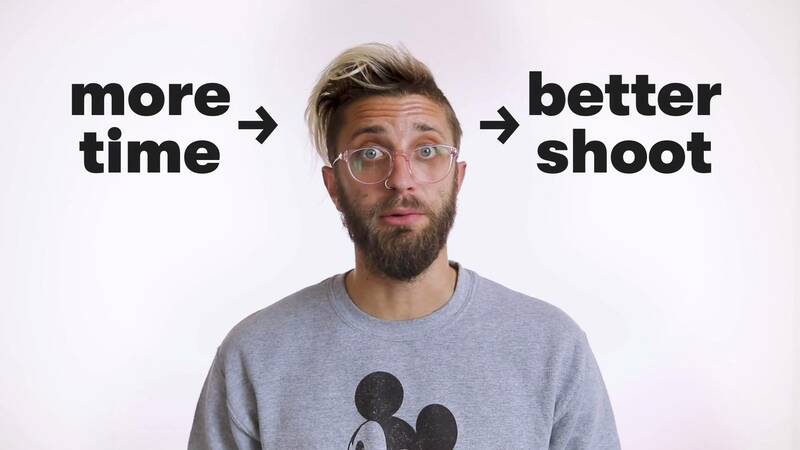 Explore the relationship between money and creativity in Wistia’s first-ever, four part original series. Oh, and don’t forget the popcorn.